More and More Releases from the filmarena Collection have moved from regular Size Slips to XL Slips no matter if it is inconsistent with the franchise in progress. You can bet for sure that EQ2 will be XL. Same as they did for TMR3 ending the Trilogy with the stunning XL Slip. Yep, that's just odd. 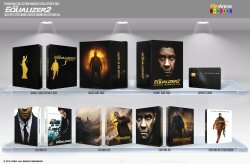 To be fair both HMV and Zavvi exclusives do say artwork TBC... but still. Maybe the FAC WEA has different rear artwork??? There has to be more than 2 designs for this film! 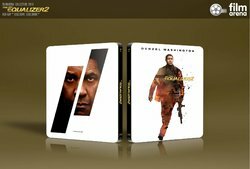 All things being equal, I don't think we need a special steelbook edition of Equalizer 2 too. still i don't have FAC version of first film. at least i won't miss this. Going by post number 10 above is this also going to be cut in the UK as it shows BBFC 15 ?